So, where do I begin? 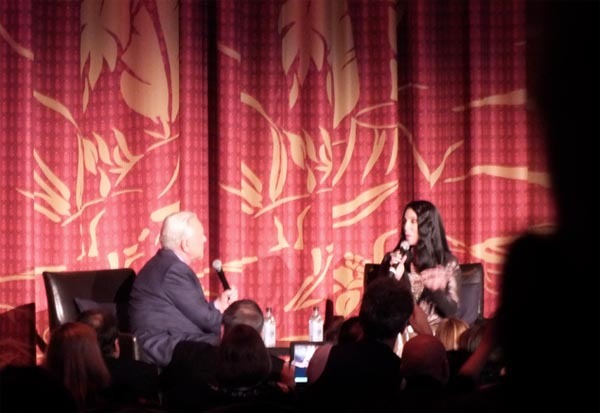 This was my first ever TCM Film Festival — and I wish it wasn’t over! 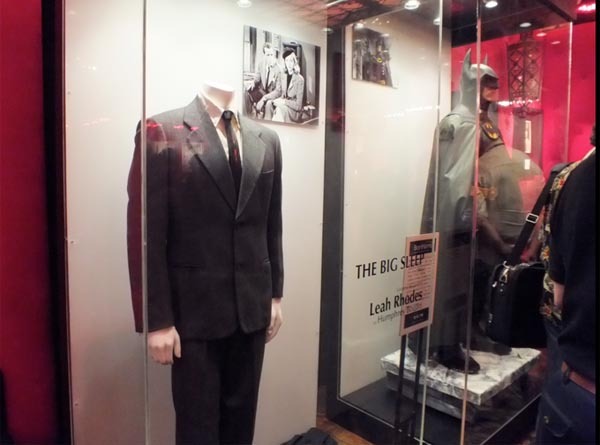 But that said, although it is over, I have wonderful memories to share and I’ve met some marvelous classic movie fans who I now happily count among my friends! And, now, via a few relatively short blog posts (all things considered), I am here to sing the praises of this year’s festival while I wait in eager anticipation for next year’s event! 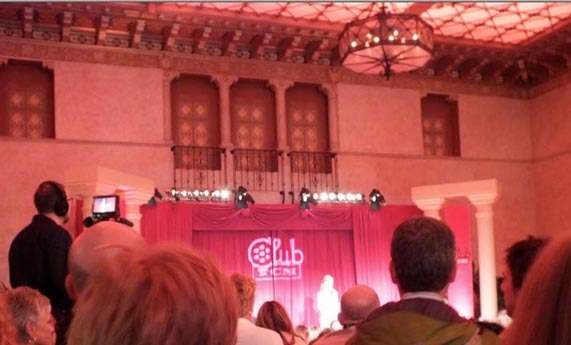 The film festival’s ‘hub’ was the historic Hollywood Roosevelt Hotel which was founded in 1927 by movie pioneers Mary Pickford, Douglas Fairbanks, Sid Grauman, and Louis B. Mayer. 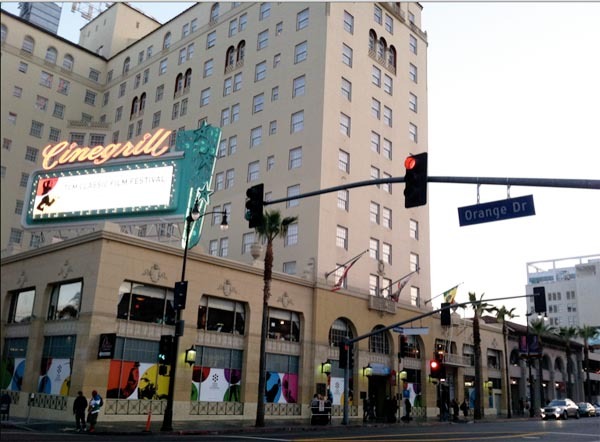 The hotel is rich with Hollywood history and lore, and it is important to note that TCM created ‘Club TCM’ — a private space where fans could relax, meet new friends, or attend special events and celebrity panels — in the hotel’s Blossom Ballroom, the site of the very first Academy Awards banquet. It is also fun to note that the hotel was the residence of Marilyn Monroe when her modeling career took off (her first magazine shoot was taken on the diving board on the pool behind the hotel; diving board no longer there), and for those who are willing to believe, the Roosevelt is also the home of some notable apparitions including the ghosts of Marilyn Monroe and Montgomery Clift. Of course all of us were hoping ‘against all hope’ that Barbra Streisand would appear to introduce this world premiere 4K restoration from Sony Pictures — but to our disappointment, no Barbra — except as her glorious 26 year old self in her glorious Oscar-winning film debut. 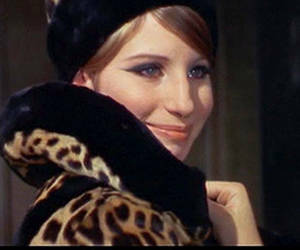 However, in Barbra’s stead, there was a nice ‘surprise’ — a stunning Cher appeared to help Robert Osborne introduce the film, and although of course, Cher is no replacement for Barbra, she did an admirable job as Robert Osborne’s ‘Friday Night Girlfriend’ (a reference to Cher’s role as Osborne’s guest-host on TCM’s Friday Night Spotlight series). 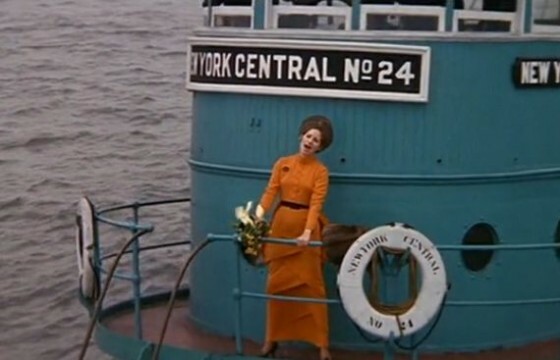 As for the film itself, it was beautifully restored and nothing beats seeing those iconic Streisand songs performed in bold, vibrant, breath-taking color on the big — or shall I say huge — screen. 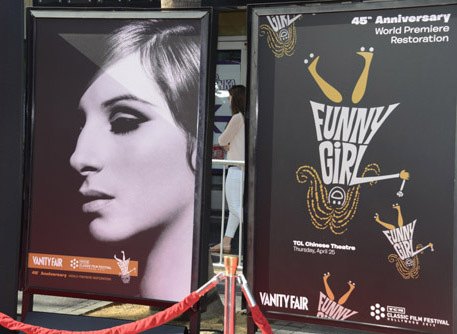 This entry was posted in Films, TCM and tagged Barbra Streisand, Cher, Funny Girl Opening Night Gala Event, Hollywood Roosevelt Hotel, Robert Osborne, Sony Pictures Funny Girl Restoration 4K, TCM Film Festival, TCM Film Festival 2013, TCM’s Friday Night Spotlight, TCMFF, Turner Classic Movies. Bookmark the permalink. 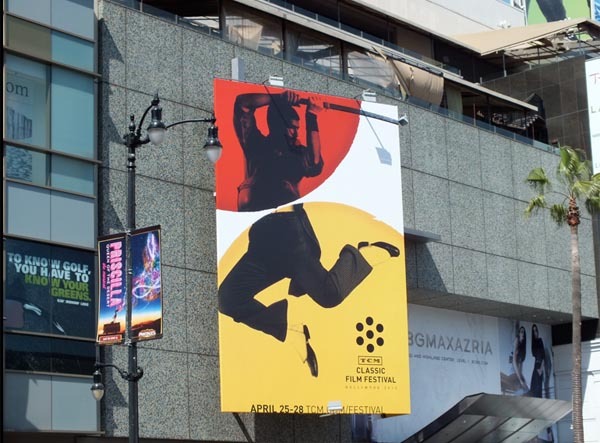 One Response to TCM Film Festival Day One: Hello Gorgeous!